Wishing you all a very Happy Thanksgiving... and lots of leftovers!" 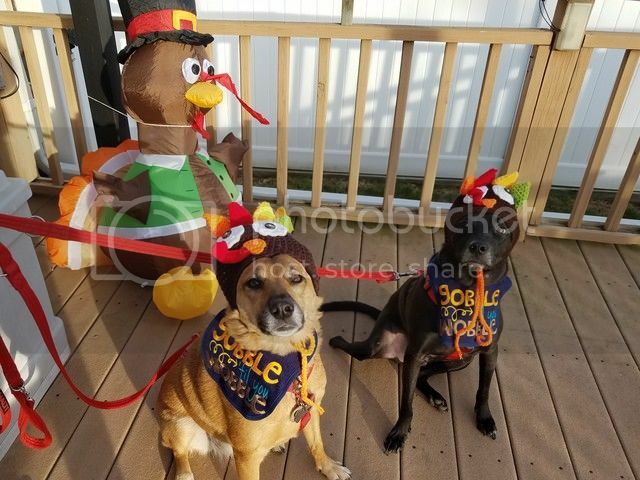 Love their turkey costumes! Happy Thanksgiving to all of you! WE like their costumes Do they??? ?